Are you running out of condo interior design ideas? Worry no more! With a few paper cutouts, varnish and creativity, you can turn old dull furniture into vintage chic. Be inspired by gorgeous homes in the French country, prominent with distressed woodwork, soft patterned fabrics, and an overall laid back vibe. 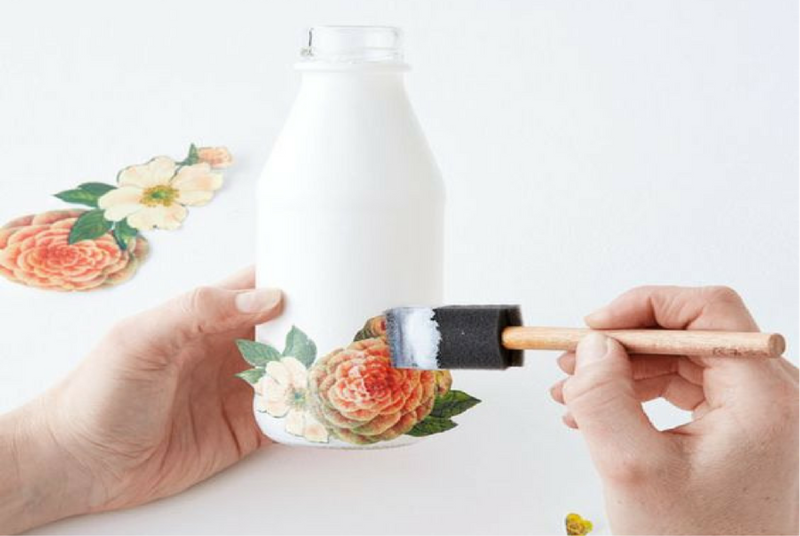 Here are 14 of the best DIY decoupage projects you should try. 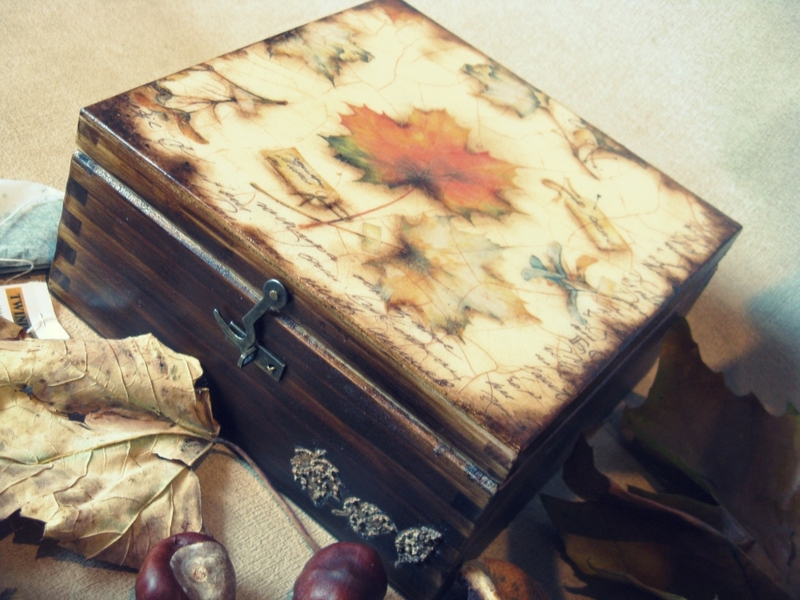 Decoupage or dècoupage is “the art of decorating an object by gluing colored paper cutouts onto it in combination with special paint effects, gold leaf and other decorative elements.” For this DIY project, you can use home items you already have such as boxes, used wine bottles or an antique dresser. You simply need to cover the item or furniture with paper cutouts or different kinds of purpose-manufactured paper, seal with 30 to 40 layers of varnish, then polish with some sand paper. 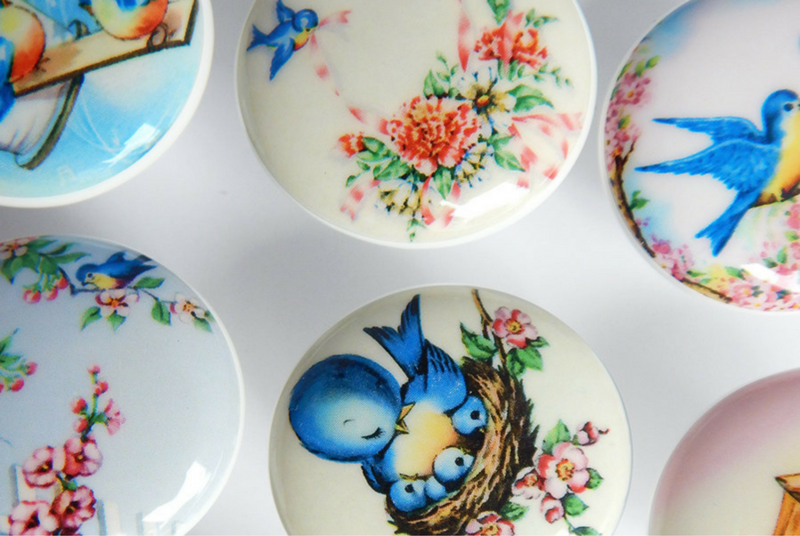 You can start your decoupage project with small items in your home. Try neglected boxes or containers sitting inside your cabinets. After applying the layers of paper and varnish, you can add details such as buttons and ribbons. 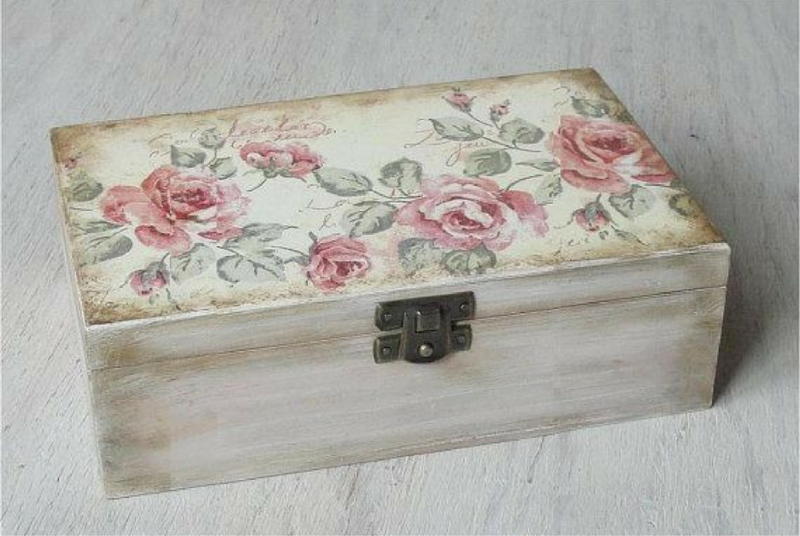 Display your decoupaged boxes in the living room or bedroom. It is said that one shouldn’t judge a book by its cover. 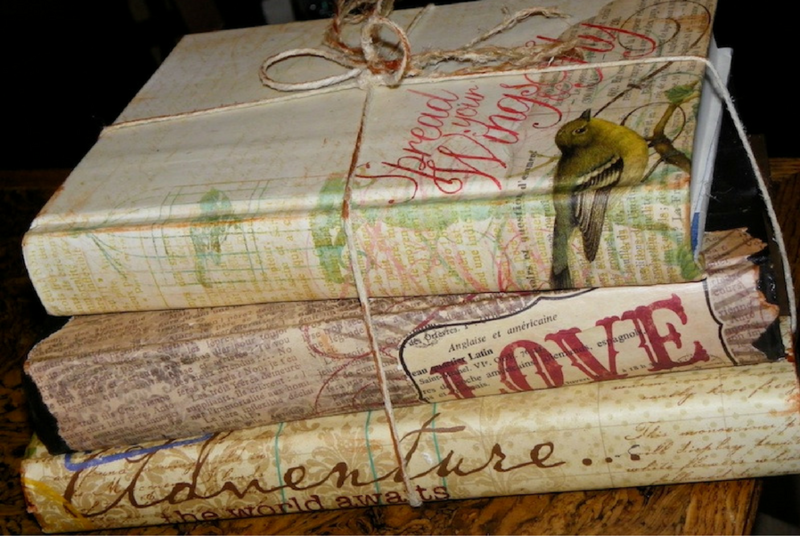 How can one pass judgment on a beautiful decoupage book cover? Plastic covers are out. Design your treasured books and photo albums with magazine cutouts, sealed with varnish layers. You can also add trinkets as you see fit. These decoupaged items will make amazing shabby chic condo décor elements. Repurposing home items is more than aesthetics. It allows you to save money and put your creativity into practice. DIY projects such as handicrafts and simple carpentry work are also effective stress-busting activities. Create a pretty storage for your jewellery collection from old cardboard boxes. After applying decoupage layers, you can add laces and ribbons to complete the vintage chic look. Don’t throw away those wooden crates just yet! Through decoupage, you can turn these dull containers into handsome fruit and vegetable holders. You can also stack in books and magazines. This is a perfect studio-type condo interior design idea. 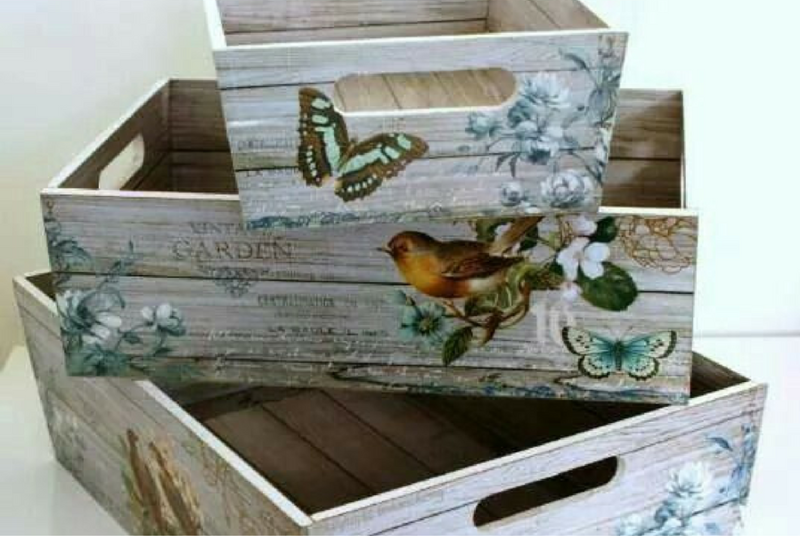 Decoupage can be done on virtually any item in your home from boxes to furniture. You can also find decoupage ideas that involve shoes and bags. Revamp your boring lanterns by covering them with design papers. Display these darlings in your living room or balcony. If you plan to incorporate shabby chic design in your home, remember to use soft or subdued hues such as splashes of pastel colors with prominent soft pink. You don’t need to buy new furniture to blend with this style. Be creative. 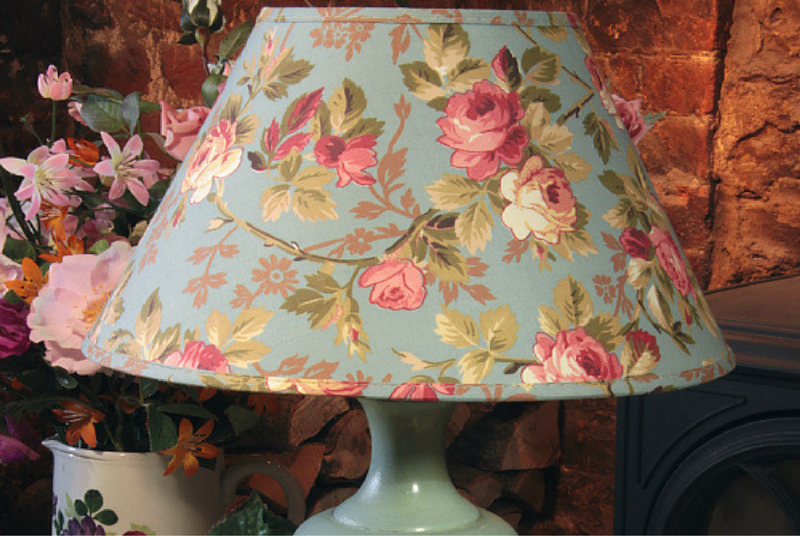 Through decoupage, you can create a vintage feel from existing items in your home like your dining room lamp. Modern condo interior design ideas don’t need to be costly. Who says clothes hangers can’t be fascinating? Do you know that decoupage can easily turn common items into fascinating home decors? Take for example the hangers in your cabinet. You can cover them with decorative paper and seal with layers of varnish. 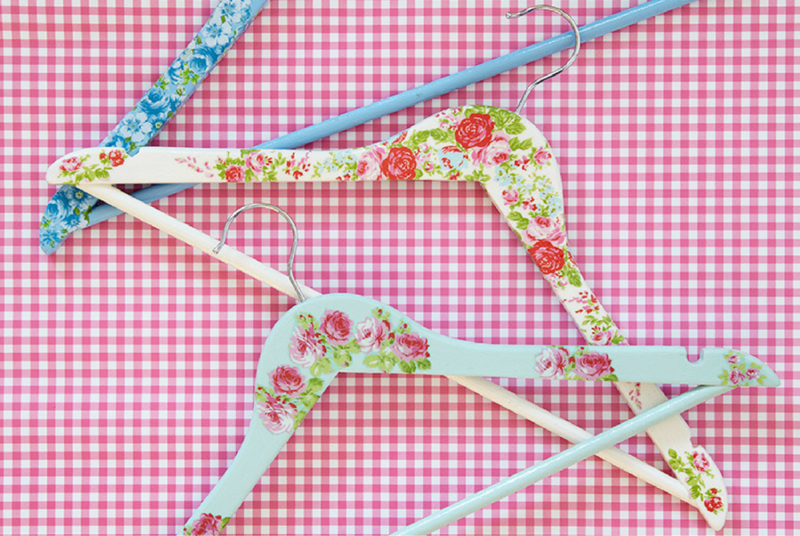 These hangers can be fancy decors on their own! Aside from clothes hangers, you can also apply the art of paper designing on wooden clothespins. 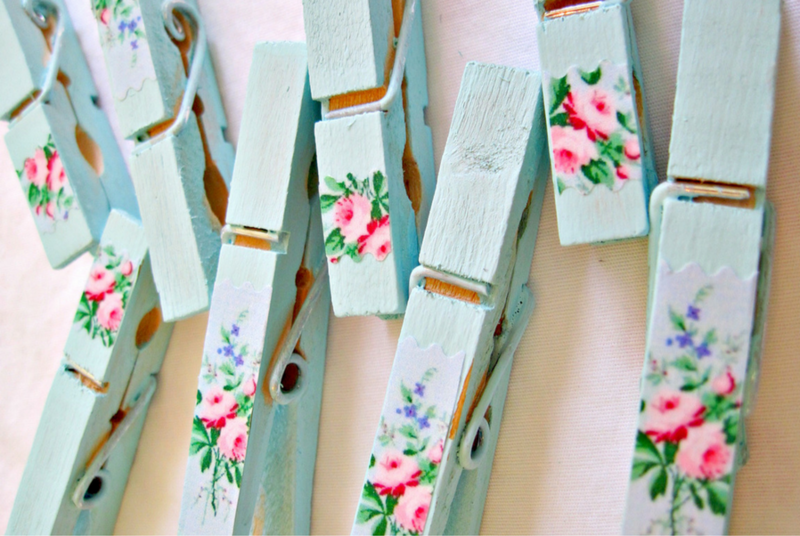 Paint each clip with a soft pastel shade, then paste paper cutouts. Finish up with layers of varnish. With this DIY project, laundry can be done with style! 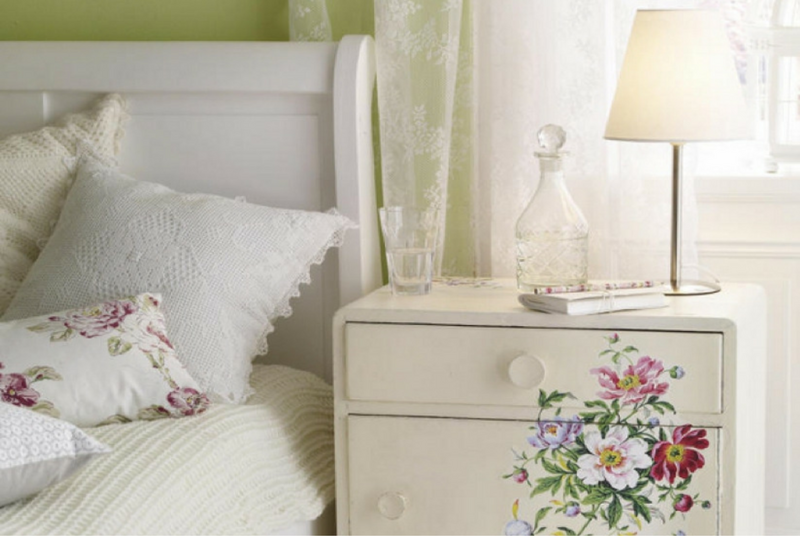 The shabby chic design is all about distressed furniture with a cottage-style feel. Some designers intentionally distress cabinets and tables for an antique appearance. If you don’t own any old wooden furniture, you can visit an antique shop or a garage sale. Enhance the design by applying decoupage. Decoupage is not exclusive to the shabby chic style. You can experiment with this art using various themes. If you love travelling, bring the inspiration to your home. 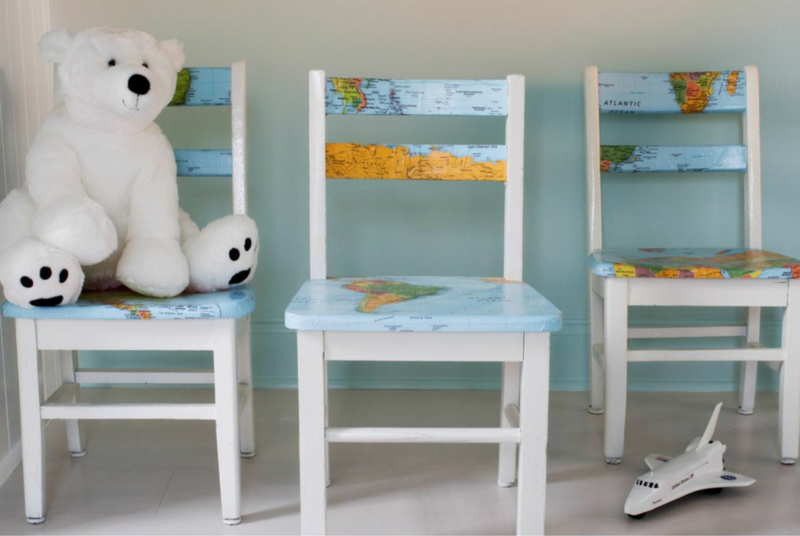 Cover your chair with pictures of maps, then seal with varnish layers. You can also apply this technique in other furniture pieces such as tables and dressers. Decoupage projects for condos can be flexible. You can mix two design themes. A minimalist interior design can include elements of French country while maintaining simplicity. 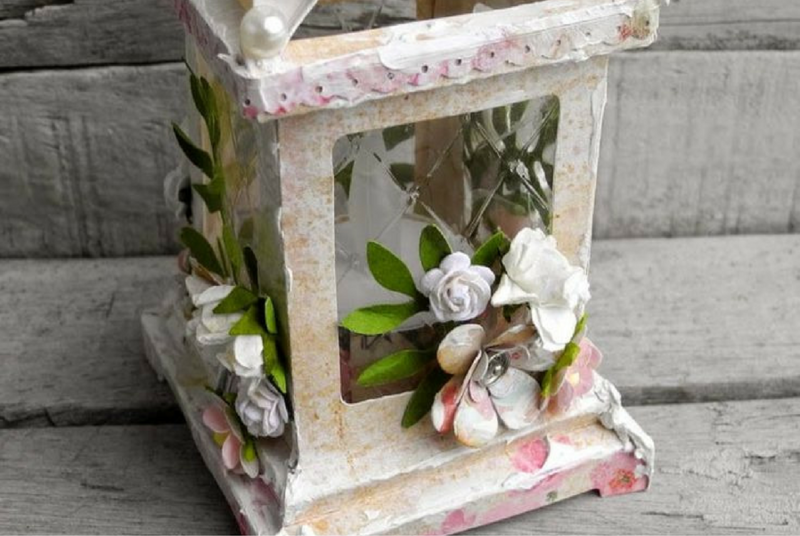 You can decoupage certain home items such as photo frames and door knobs. Due to the world’s worsening problems with waste disposal, many governments strongly encourage people to recycle and repurpose items. Japan is one of the countries leading this initiative. You can do your part by repurposing used wine bottles. 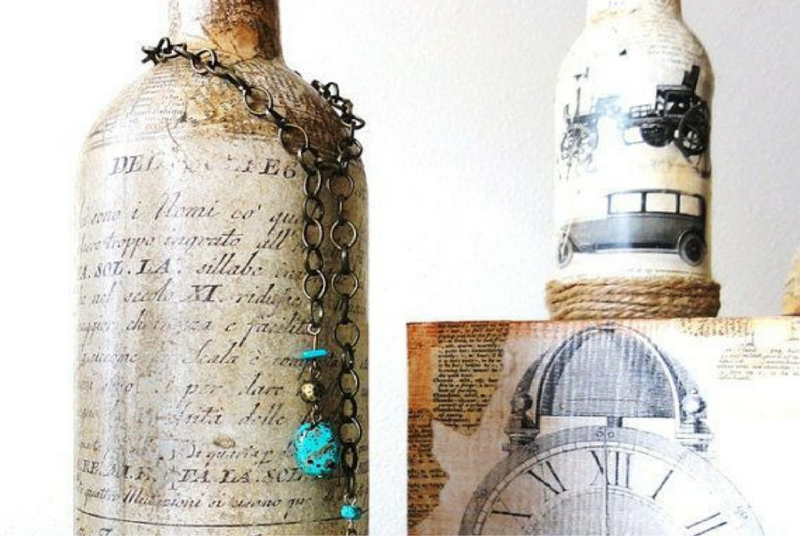 Through decoupage, you can turn these items into appealing decors. Do you know that indoor plants can clean the air inside your home? Add cactus plants, spider plants, and orchids in every room to free the air from free radicals. 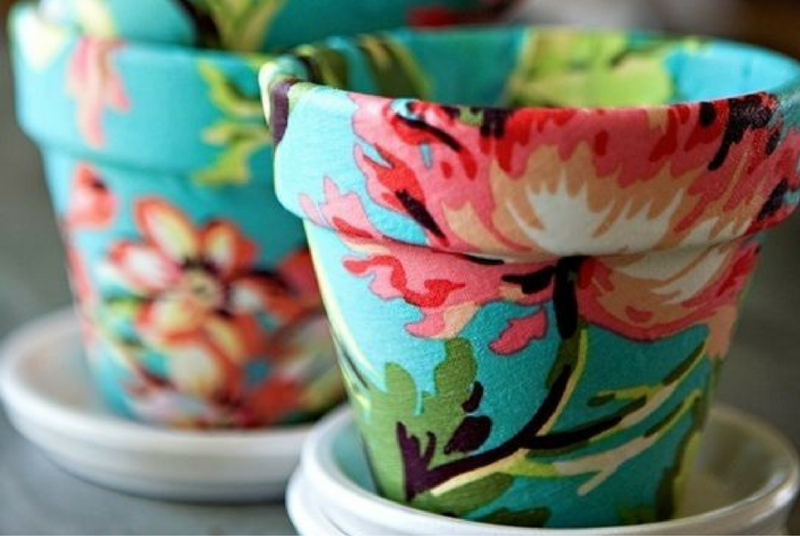 You can design pots with colorful paper, sealed with layers of varnish. With this decoupage project, your home will have a fusion of natural greens and rainbow colors. Getting your own place is an important phase of your young adulthood life. In your 20s, you’re content sharing your room with a friend to save on rent. Plastic chairs, disposable spoons and forks, and taped wall posters pretty much did the job. You embraced the idea of a mobile lifestyle. Now that you’re in your 30s, it’s about time to have a sense of permanence in your space. Invest in furniture, silver cutlery, and beautiful artworks. 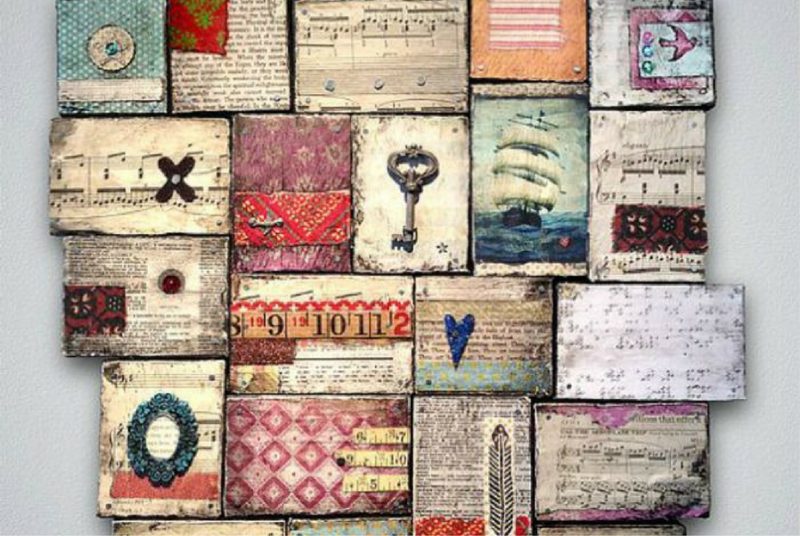 Create a vintage-style collage on your wall through decoupage. You can combine old wood pieces adorned with charming cut outs from magazines and newspapers. There’s a lot of small condo interior design ideas you can try. Decoupage, or the art of decorating with paper, is one of them. To make this DIY project more enjoyable, invite your family and friends to join you. Prepare afternoon refreshments and play a good summer playlist before getting to work!